Last month’s update saw a big improvement in overall matchmaking stability and from the sound of it this month’s update hopes to build upon that. Recently some changes have been made to the Halo CE playlist from 2-3 players to 2 only strictly. 343i continues to monitor the playlist and make appropriate changes. From a recent Waypoint article, it seems like they are hoping to add a few more playlists into the hopper. Including; Team Doubles, SWAT and Team Snipers. The matchmaking team will be diving into the data to see which one of these playlists will become a permanent edition to the rotation. So folks if you want to see your favorite kept in the rotation, make sure you play as much of it as you can. In addition to this they are hoping to finally add ranks to some other playlists as well. Something most people have been asking for since launch. 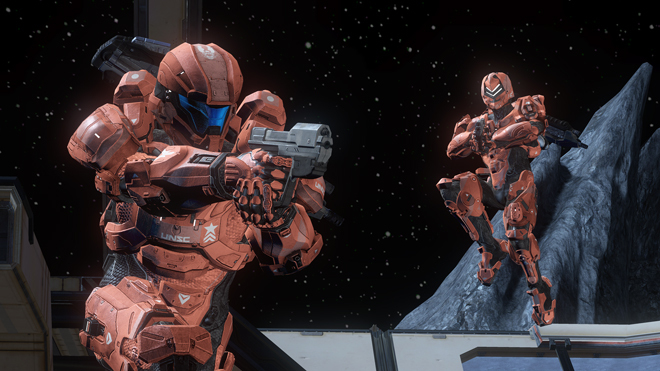 An arrival date is still TBD on the update, but when it goes live 343i will post the patch notes.